Visiting a Cherokee Indians reservation is one of the most exciting things to do in Cherokee, North Carolina. 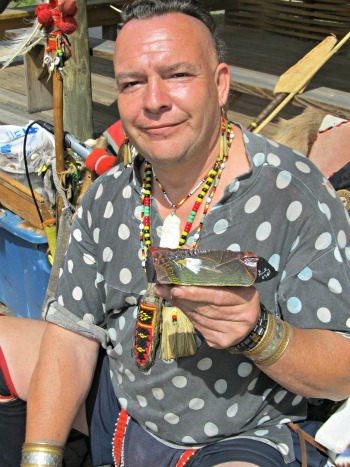 It's an opportunity to "Pow-Wow with real Indians! The Indians takes you back to the 1700's where you can experience cultural dancing, and spiritual worship to the Almighty God as they did centuries ago. Most all venues start with the "friendship" dance which includes everyone in the audience who wants to participate. This beautiful village consist of mainly "friendly" indians! Located in the heart of Western North Carolina, this little town is big on history, and adventure! Enjoy a fun-filled vacation in this delightful part of the Smokies that is filled with plenty of shopping, fishing, Elk viewing, hiking, and more. They have stages on the main thoroughfare, usually near inexpensive gift shops! The Indians perform for free, however, they are dependent upon your donations and what they are able to sell that they have made themselves. These Indians perform dances that are simply amazing! The unique gifts you find here are beautiful! Select from beautiful pottery, masks, basket weaving, and more that these Indians have made themselves. 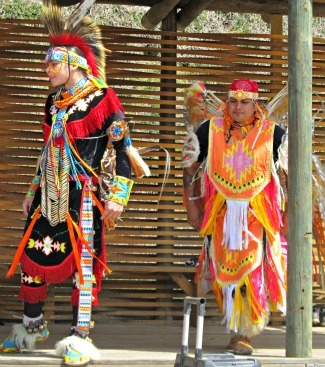 Many Cherokee Indians earn their living by performing for tourists who visit the area. They have stages on the main thoroughfare, usually near inexpensive gift shops! The Indians perform for free, however, they are dependent upon your donations, and what they are able to sell that they have made themselves. Those I met prayed before performing. They explained to us their deep respect for the Great Creator of these mountains, and and of this world. No photos were allowed during this time. if you were interested in having a photo taken with an Indian at any other time, they were happy to oblige. However, they do expect a tip for the pose. Many of the Indians do dress in their full Indian attire and look the way Indians do on TV. These Indians are all very friendly, and welcome you to their reservation in Cherokee. Like the Tennessee side of the Smokies, there's plenty to do! Special events take place throughout the year. Enjoy hiking trails, waterfalls, breathtaking views, and more. Spending time in this area of the Great Smoky Mountains will bring exciting adventures and days filled with fun! 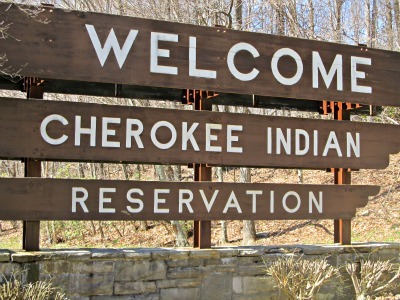 Find everything you need to about the Cherokee Indian Reservation on TRIP ADVISOR.